If you thought all wedding stationery was sugary and floral, think again! 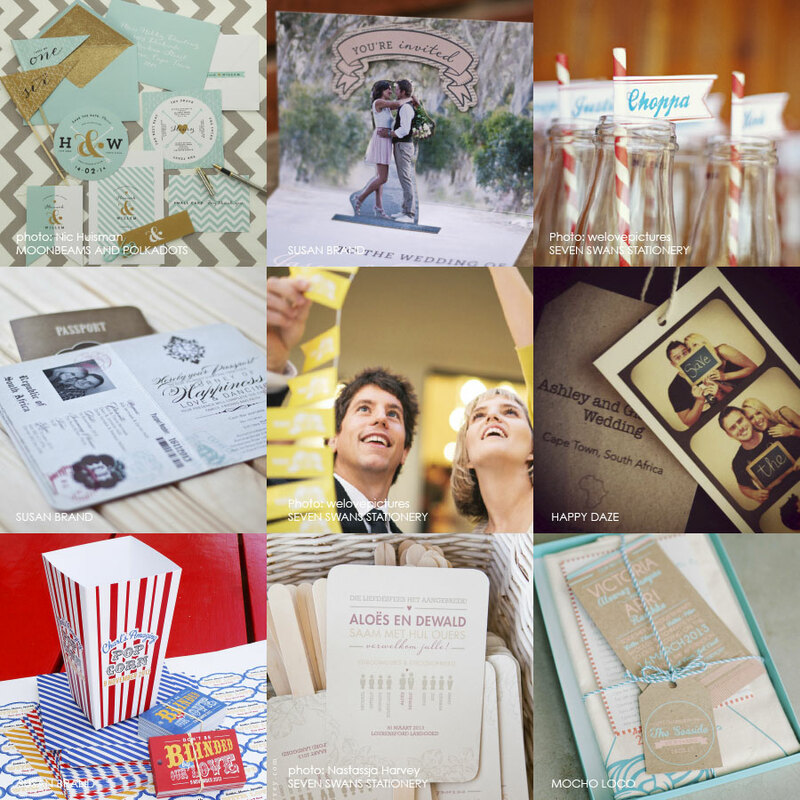 Some of the most creative work we have printed lately, has been designed for weddings. Couples are wowing their guests with unique and personal designs that extend way beyond just an invitation. They are creating stationery that tells a story, branding their pending new status in hand rendered detail on a variety of media that includes save-the-date cards, fans for the church, bottle labels, gift tags, stickers on party favours, flower cones, popcorn boxes – you name it! We have witnessed the level of creativity and intricate design increase dramatically over the years. No longer limited to purely 2-dimensional design, the labours of love are poured out in an endless sea of creativity where even the directions to the venue make you swoon in awe. No more generic swirly patterns and hearts, todays invitations reflect the unique character and personalities of each couple, using typography, personal photo’s and different techniques such as laser cutting and letterpress, to convey the emotions befitting of two peoples lifelong commitment to one another.